Learning to tune your guitar. Learning to tune your guitar doesn't seem as important these days with all of the electronic devices available to put your guitar in perfect tune but if you can't tune your guitar you will never be able to learn by ear. The other important reason to tune your guitar is for when you are playing without amplification. Your acoustic guitar will go out of tune often if you are using lighter gauge strings. If you can't tell when your guitar is out of tune you will sound terrible. You will need to be able to play a chord and recognize it being in tune or out of tune. The sooner you learn to tune your guitar the better it is for your playing. All the finger dexterity and strength in the world can not make up for a guitar that is out of tune or for a player who does not notice the guitar being out of tune. Here is a a short video on how to tune your guitar using a pitch pipe. The pitch pipe will give you a standard A 440 tuning that is the standard tuning for used to tune a piano. Many musicians use a higher or lower standard to allow them to sing more easily or to play a slightly lowering tone but the majority of music is played in standard frequency of A 440. I like to use the A string as the note to tune my guitar. I use the pitch pipe to tune the 5th string or open A string to the A note. I then tune all the strings in relationship to that note. Each string, with the exception of the open b string can be pressed at the 5th fret to match the open string below. For example if you press the 5th fret of the low E string, or the deepest sounding, thickest string on the guitar, it will be an A note which will also match the open A note of the 5th string. The 6th string pressed at the 5th fret will give you the note needed for the open 5th string. You can do this for all the strings except when your reach the 3rd string you have to press the 4th fret which will give you the tone of the open b string, which is the second string from the bottom of the neck. You go back to the 5th fret on the 2nd string and press it down to give you the open E tone or the high E tone that match the last string of open E on your guitar. This is the highest pitch string and the smallest string on the guitar. The low E String and the high E string represent the first and last strings on the guitar and they should sound the same. They are different octaves but they are both the same note. A good way to finish your tuning is to play the high E string and the low E string to check that they sound the same. If they are off it will mean that you missed something while tuning. You will need to recheck each string to make sure it is in tune and then try the low E and high E together again. If there is still something wrong you can use the pitch pipe to check each string individually. 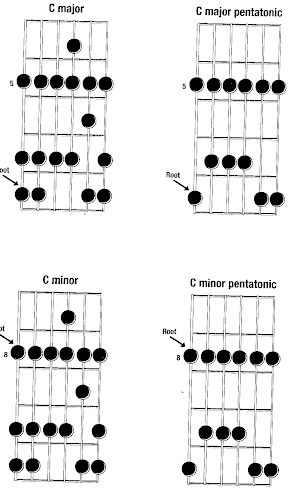 If that still does not pass the E string test you may have a problem with the neck or the intonation of the guitar. The best solution is to take it in to reputable guitar shop for a tune up. Strings do wear out and lose their sound quality. 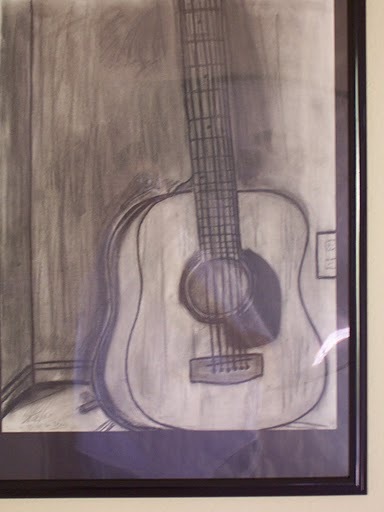 It is very hard to tune a guitar with strings that are several years old or extremely dirty. If you get a guitar that has been sitting for years in your attic or just stored in the closet, a new set of strings will be necessary to tune the guitar optimally. Changing strings is not that difficult. It just takes a little time. When I put the next set of strings on one of my guitars I will put up a video to show the proper methods and techniques for changing strings and how to make sure your guitar will stay in tune with new strings. New strings will go out of tune easily until they are broken in or if they are not stretched property while installed.